Jaguar Land Rover retail sales in February 2019 were 38,288 vehicles, down 4.1% compared to February last year. Strong sales of I-PACE, E-PACE, refreshed Range Rover and Range Rover Sport were offset by overall weak customer demand in China as well as the run out of the old Range Rover Evoque, with sales of the all-new Evoque expected to ramp up over the coming months. February 2019 Change year-on-year Apr 2018 – Feb 2019 Change year-on-year Jaguar Land Rover 38,288 (4.1)% 502,020 (5.4)% Jaguar 12,235 5.8% 155,936 3.8% Land Rover 26,053 (8.1)% 346,084 (9.0)% Retail sales were up significantly in North America (25.4%), UK (11.3%) and modestly higher in Europe (1.1%) but weaker market conditions continued to weigh on sales in China (down 47.6%). Jaguar Land Rover is the first car maker to put its cars to the test with the AIR Index – and the new independent on-road emissions testing procedure has found that Jaguar Land Rover diesel models have some of the lowest NOx emissions of any car on sale today. The models independently tested for the AIR Index were 180hp 2.0-liter diesel Ingenium 4WD versions of the Jaguar E-PACE, Land Rover Discovery Sport and outgoing Range Rover Evoque. The AIR Index has previously rated the Land Rover Discovery 3.0TD6. All four achieved an ‘A’ rating – the top rating possible – signifying that each of them emits between 0-80mg/km of nitrogen oxides or NOx. Jaguar Land Rover North America, LLC is proud to announce the 24 U.S. retailer winners of the 2018/19 Pride of Jaguar and Land Rover Pinnacle Retailer Excellence Awards. The Pride of Jaguar and Land Rover Pinnacle Awards are given annually to retailers who have demonstrated a commitment to excellence and the Jaguar and Land Rover brands. A total of 24 retailers – 12 from each brand – were selected based upon their top performance in core business categories including customer advocacy, sales and aftersales. Of the 24 winning retailers, 19 have received the award multiple times, while five were recognized for the first time. 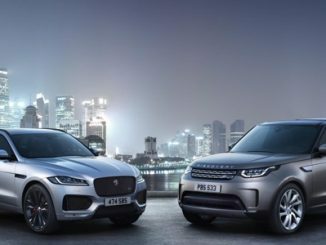 Jaguar St. Petersburg, in Fla. and Land Rover Tampa in Fla. have received the award an impressive 15 times each. A Range Rover Sport has completed the first ever self-driving lap of one of the UK’s most challenging road layouts. A prototype self-driving Range Rover Sport handled the complex Coventry Ring Road, successfully changing lanes, merging with traffic and exiting junctions at the speed limit of 40mph. The trial is part of the £20 million government-funded project, UK Autodrive, which ends this month after a three-year programme. Jaguar Land Rover engineers have completed significant self-driving technology testing on closed tracks before heading onto public roads in Milton Keynes and Coventry. 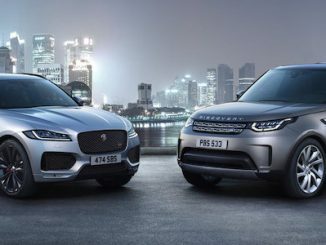 Jaguar Land Rover today reported total retail sales of 57,114 vehicles in September 2018, down 12.3% year on year despite strong sales for new models including the Range Rover Velar and the Jaguar I-PACE and E-PACE. Sales in China declined by 46.2%, as ongoing market uncertainty resulting from import duty changes and continued trade tensions held back consumer demand. A one-off Land Rover Defender made a dramatic entrance at Selfridges in London, entering the famous department store through a first-floor window. The unique Selfridges Edition Defender Works V8 will form the centerpiece of the new-look menswear department at the Oxford Street store, but not before technicians from Land Rover Classic reassemble the vehicle in full view of shoppers.